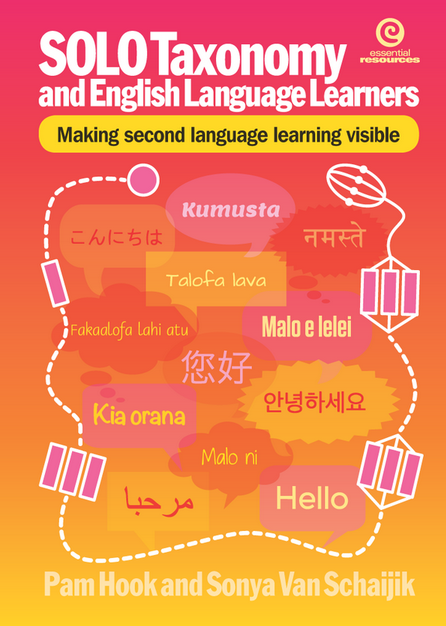 Newmarket School is committed to their Chinese students retaining their Chinese language skills and (as for all students) developing literacy skills in both Chinese and English, while also valuing the learning of Te Reo Maori. Wendy Kofoed (Principal) and Virginia Kung (Deputy Principal) have attended Principals Delegations to China with the Confucius Institute previously, and this helped them to understand the contexts that new students from China are coming from. (Virginia herself is a heritage speaker of Cantonese and grew up in New Zealand.) The school has had school delegations from Singapore and is developing a sister-school relationship in Ningbo. I am a bi-lingual Samoan and English speaker and have early stage proficiency in Dutch, French, Maori and Japanese. I am a TESOL trained teacher and have led a Samoan Bilingual Team and taught Samoan. I have traveled to China twice in the past three years and this year I took up the challenge to learn Chinese and lead the teaching of Chinese at Newmarket School. Currently I am the ALLiS (Asian Language Learning in Schools programme) Lead Teacher. I am also a learning concierge for the Flat Connections Project, observing how students and teachers between Australia, China and New Zealand are communicating using Wechat, a mobile text and voice messaging communication service, as well as other online forms of communication. Newmarket School has had Mandarin Language Assistants from the Confucius Institute for five years, and are aiming for continued sustainability with me having a lead role and giving support to the junior classroom teachers as they increasingly take over more of the teaching of Chinese. This year I not only had support from Parent Language Assistants but also community members who taught Mandarin in the middle and senior school. Chinese lessons are run after school and are coordinated by the parent community. Recently I completed TPDL (Teacher Professional Development Languages), a Ministry-funded one year programme. The programme supports teachers by providing them with Language Study. When I stood up to receive my graduation certificate my principal and deputy principal rushed up with an ‘ula lole’ as an acknowledgment of their support. Now those of you in school know how important it is to have support in the work you do and I have certainly had that this year from Wendy and Virginia. As part of the TPDL programme I have been taking a weekly Mandarin class at Unitec Institute of Technology and passed HSK Level 1. I must mention here two amazing year 5 students who gave me 30 minutes of Mandarin practice each week. I listen to my colleagues in my Mandarin class speaking about how challenging it is to find people to practice with and I have had this extra luxury. All students and teachers at our school have had Chinese lessons this year. I teach in the Junior School and during my In-School Support Visits I was observed teaching a New Entrant class and working with their teacher and also teaching a combined large group with a total of 55 junior school students and three teachers. These students were be grouped to learn with me or with the other two teachers with whom we work cooperatively. Within the large group students were grouped into advanced/heritage speakers, a middle group and an emergent group. However with TPDL training this learning has shifted to more across grouping so that students can also learn with and from each other. Students chant and sing together at the beginning and end of lessons and also break up to work in their groups. After each observation an In-School Support Facilitator discussed my lesson in order to support me in my language teaching. These In-School Support Visits took place each term and I found them valuable for reflection and identifying my next steps. Thank you to Andrea, Sarah, Reubina and the children of Te Ako Kowhai for allowing me to come into your class each week and work with your children. I frequently teach through songs and chants. I have aimed for the students to replace words in songs to change the meaning of the sentence. This year I presented several times in order to share my learning and to help with reflection. First of all I presented at the NZALT (New Zealand Association of Language Teachers) conference in Nelson in July. Here is a link to my presentation. Then I presented at the Chinese Language Teacher’s Conference. Next I presented to the Auckland Ningbo sister school principals conference. After that I was invited by Julie Lindsay to share on a Global Education Panel Discussion during the 12online conference. Finally I shared my inquiry in front of my colleagues as part of the TPDL assignments inquiry to the TPDL. The whole school has Chinese lessons and recently more and more responsibility now rests with class teachers as they take over teaching Mandarin in class. I have created a chinese blog and use it to highlight my lessons. While our teachers have great heart in teaching languages they have had some anxieties about teaching Mandarin as non-native speakers, they feel that this is specialist work. They are more competent and capable of ensuring students have cultural competencies in Mandarin. Myself? I can totally empathise with this and for this year have the TPDL team to thank for supporting me in my journey of knowing first hand what it is like to walk in my learners shoes by learning and teaching a new language. I am beginning to utilise across school connections from lead teacher observations. For example I learnt a lot from Cornwall Park School and Meadowbank School by observing how their teachers teach Mandarin. Chinese Language Week link to photos and videos. Having Lily Lee share with us. Hosting our sister school and when the Children returned to China we continued communication via wechat. Then I was asked to present at theNingbo-Auckland Education Association (NAEA) conference. This years conference theme was“Connecting Learners” and the aim was to further strengthen existing ties between sister schools in Ningbo, China and Auckland, New Zealand. Learning to use WeChat for making connections with external agencies and some of our parents. Some of the unexpected spinoffs have been forming closer relationships with parents and children. Overall taking part in the TPDL programme has allowed me to reflect on myself as a learner and as a teacher. The year is nearly over and I am so looking forward to some quiet time. I have learnt a lot about myself and I have learnt a lot about the children and their families that I work with. Learning other languages enables our children to practice the key competencies of “relating to others” and “managing self” while developing a strong sense of their cultural identity. Finally I must mention here our own Ministry of Education who fund this in-service year-long professional development programme. The programme combines language study, second language acquisition pedagogy, and in-school support to enable effective language teaching. I believe that all teachers who teach children learning English should apply for TPDL. The papers can count towards the Graduate Diploma of TESSOL. I really liked the course because it reminded me how hard the journey is for our learners and reminded me that language learning is all about Whanaungatanga. I have an exciting fortnight coming up. Soon it is the New Zealand school holidays. We have two weeks and it is the middle of winter. However at Newmarket School you would not believe what an amazing day we have. I am back at school on a beautiful Saturday to work on my upcoming presentations and to finalise ELL data for term three distribution of our in class support. Those of you who know me know I look after my aging parents and this past six months have been full on as they require more of my time. So these two weeks coming up means I get a chance to have a break as my sisters step in to support me. They know how much I enjoy sharing our learning so have agreed to take over the care of my parents while I am away. My sisters support me daily with them but during this time they will be the primary support team. Meanwhile I will be in Nelson, then Hamilton, Auckland for two days and finally I will visit Christchurch to make up for two days missed on the TPDL course that I am involved in this year. Part of the NZALT preparation has included gathering artifacts to share. I have been working with my Thursday student Mandarin tutors who are helping me prepare my personal introduction in Mandarin. Yes it is really hard and they are tough on my pronunciation. On Monday our Mandarin dance group have agreed to perform for the school’s leadership assembly so I will have an example of that too. Of course SOLO Taxonomy continues to drive what I do and I am especially excited to be sharing SOLO Taxonomy and English Language Learners at CLESOL and at the PPTA Pasifika Fono. As we race towards the end of the term our school has reporting to parents and of course the leadership week. However I know that as crazy as it seems all my colleagues are in similar situations and are hanging out for some sleep ins, the chance to do some PD in their PJ’s and the chance to catch up with each other as we share what we do in our schools. Do share what you are doing in that fortnight. I am particularly interested in those of you taking some time for mindfullness and well being activities. This non contact time might also be a perfect opportunity to update that blog you have been meaning to do. Remember to use the #EdBlogNZ hashtag. Write answers to the following questions after you have read the reading you have chosen. According to the author, what is a task-based approach to language teaching? In what ways does the author claim that task-based language teaching is superior to more traditional ways of language learning? What are the benefits of this approach to language teaching for language learning? Write a personal response to the author’s claims where you give your reaction to the ideas presented. Suggest ways in which the content of what you have read could be applied in your language classroom. Ellis, R. (2009). Task-based language teaching: Sorting out the misunderstandings. International Journal of Applied Linguistics 19 (3), 221-246. Task Based language teaching (TBLT) is an approach to teaching a second/foreign language that seeks to engage learners in interactionally authentic language using the target language by having them perform a series of tasks. TBLT aims to both enable learners (1) to acquire new linguistic knowledge and (2) to proceduralize their existing knowledge. Teachers need to understand that TBLT involves input-providing as well as out-put prompting tasks and that it is possible to build up proficiency initially through a series of simple input-based tasks. Central to TBLT is that word task, and teachers must have a clear understanding about task by providing opportunities for communication. There is is no single ‘task-based teaching’ approach. Task can be focused or unfocused and can be identified by the following four key precepts of Task. First the primary focus for TBLT should be on ‘meaning’ by which is meant that learners should be mainly concerned with processing the semantic and pragmatic meaning of utterances. Then there should be some kind of ‘gap’ with a need to convey information and to express an opinion or to infer meaning. Next learners should largely rely on their own resources whether it is linguistic and or non-linguistic in order to complete the activity. After that there should be a defined outcome other than the use of language because the language serves as the means for achieving the outcome, not as an end in its own right. These key precepts of tasks central to TBLT is superior to more traditional ways of language learning because TBLT is capable of providing much greater exposure to the target language than traditional language teaching. Task allows the students to communicate for a real purpose to achieve success criteria. The tasks need to be trialled to ensure that they result in appropriate L2 use and revised in the light of experience. Therefore in practice attention is drawn to as the name suggests, the Task. Task-based learning is advantageous to the student because it is more student-centered, allows for more meaningful communication, often provides for practical extra-linguistic skill building and are likely to be familiar to the students such as visiting the doctor. Task-based language teaching offers the opportunity for ‘natural’ learning inside the classroom. TBLT emphasizes meaning over form but can also cater for learning form. TBLT is intrinsically motivating therefore students are more likely to be engaged, which may further motivate them in their language learning. TBLT is compatible with a learner-centred educational philosophy but also allows for teacher input and direction by allowing the learner to pick out the language to use for the task. TBLT caters to the development of communicative fluency while not neglecting accuracy. TBLT depends on the purpose of the activity and can be used alongside a more traditional approach. Teachers need to be clear in their understanding of what a task is and to be aware of the purpose and rationale for performing tasks. Developing task materials allows teachers to tailor the task to the proficiency levels of their students. Applying the principles of TBLT In my current practice of teaching Mandarin. In my current practice of teaching Mandarin I am already using several principles of TBLT. However I had not unpacked it to the depth that I am currently doing. I am a new learner of Mandarin and I use songs and simple children’s poems when focussing on form. My current class has a large proportion of Mandarin speakers and I use them to help with extensive L2 input. Initially they supported me with form and L2 input with the other children. I am already taking into account the individual differences of my learners by grouping the students according to ability. From other readings would like to trial grouping mixed ability children so that more experienced speakers can help emergent speakers. I will develop language teaching activities with a primary focus on meaning as I have been focusing only on form. I will aim to provide more opportunities for group and paired activities that enable my learners to pick out the language for the task. When I highlight the 10 principles I can see that I have taken formulaic expressions to mean my learning of the expressions but have omitted my students learning them too. In order to understand what a task is and understand what is required of the learner to understand communicative messages I have begun the process of providing tasks and activities to focus on output. I have identified that I need to examine free use of language as well as controlled production because activities have shown that such tasks are effective both for practising managing and facilitating students’ performance of tasks in TBLT. For my new task I have made decisions around both design and methodology. I have sequenced the tasks using the three phases of pre task phase, task phase and post task phase. For the pre task phase my learners sing the Mandarin colour song that has already been taught. We recap on the colours by holding up a colour block as the colours are called out. For the task phase I have developed a resource using the images from the simple PM reader called Sally’s leaves. I have added a question and answer component to the story using formulaic phrases of asking the question, ‘Where is the red leaf?’ Then responding with, ‘Here is the red leaf.’ My learners will group in threes to discuss and practice the patterns that they can see and hear. For the final two slides, I will leave out the formulaic expressions but will leave in the colours of the leaves. For the post task phase I have created another resource that has the coloured leaves with the words. Included are the two formulaic phrases. My learners will work in pairs to practice asking and answering the questions. The task I have created for learning has an element of natural language use. If you use google translate and listen to the first two words on this chart, maybe you will be like me and find them quite similar. On Monday, I asked Virginia, our Deputy Principal, to come and observe me teaching Mandarin. My two goals were to use the Mandarin language 100% in instruction and for the children to be using the language as much as possible. Linguistically the strategy is known as ‘forced output’. Me I call it Flippin’ hard. My lesson focus was to recap on term ones learning and to find out how much had been retained and to extend our native Mandarin speakers in using numbers. Anyway, I began with some songs because the teachers I work with have asked me for more songs to help them and the children learn vocabulary and also phrases. I also included the songs we were practicing for our team’s turn for the upcoming school assembly. Then I had some children come up and share their learning and was proud to see our non native speakers stand up and share their growing vocabulary. After this introduction the class was split into three groups and I sent the teachers off with their group to practice some previous lesson’s activities. One group worked on questions and answers. The third group worked on colours. I took the extension group to extend their number knowledge and also for me to learn numbers in isolation. For example I can count to ten but ask me ‘What is 9 Sonya?’ I count on my fingers and then tell you what 9 is. I need to know my numbers because I am desperately learning how to tell the time in my own Mandarin learning. When my tutor asks me the time, I need to use my fingers and need a long processing wait time before responding. I really want to be able to flip back the answer straight away without translating and or using my fingers. So I took some playing cards and I set up a line of numbers and through hand signals, modelling and the white board was able to get across that the children were to add two numbers together and give me the full response in Mandarin. Then I asked the children to turn to their 苹果 (Píng guǒ) and 说 (shuō) in 中 文 (zhōngwén) ….. Meaning: turn to your friend and talk using Mandarin. By this stage, Ginny my observer was nearly rolling on the floor with laughter. I knew straight away what I had said because I know how similar 苹果 (Píng guǒ) is to 朋友(Péngyǒu) But for the life of me I could not remember which was correct. So I turned to one of my little teachers and said 请 帮 我 (qǐng bāng wǒ) -help me. He corrected me and we continued the lesson. Ginny speaks Cantonese and knows some Mandarin and yes we know each other really well and have a history of mutual respect. After the session Ginny gave me some fabulous feedback. She always knows how hard to stretch my learning. The first thing I wanted to know was, did I full fill my two goals? She said yes pretty much. I would have had my lesson in 97% Mandarin. Yes too, to the children sharing their learning and on me limiting teacher talk. From my feedback these are my next steps. Talk to your friend in Mandarin. I am really lucky because I have access to our parent community and they are willing to help. My next step is to bring them into my lessons to help me teach it. On Thursday I had the ALLiS Lead teachers come to Newmarket for our monthly meeting. My principal was present at the meeting and the first thing she said was ‘Share your apple story.’ So I did. I know that sometimes the funny incidents help break the ice for a new group coming together and getting to know each other. I shared my lesson resource blog with our ALLiS Cluster teachers. This space is where I am placing anything I use in one space so that other teachers who are willing to have a go at teaching Mandarin can do this. The space currently has videos I have used from youtube, however as our children learn, I will go back and replace the originals with what they do. I have to acknowledge too the huge work that our Mandarin Language Assistance did when they were with us. All their resources are available too to our teachers and have helped me immensely in what I am doing. The bonus of having a blog, which I had not considered was I can place a homelink on the student iPads and they can come back and go over the lessons too. I know, the students should have been my first consideration when making the resource. However I was creating something and I love to tinker around learning. Already my mind is racing with possibilities. I am also using the site to curate some of my own language learning lessons. So when I have a moment, I can quickly pull it up and recap on any device. On Friday our little ones stood up and shared their Mandarin learning with the whole school. I was so proud I could pop. At the same time I am incredibly proud of the teachers that I am working with in Te Ako Kowhai because they are also learning with me and are willing to learn too with the children. I thank them for practicing the songs and poems every day as this helps me tremendously in growing our children’s vocabulary. At our school our children learn Te Reo as well as Mandarin so most of our children will exit Newmarket School as Qualinguals. You read correctly, four languages because most of our children are already fluent orally in two languages when they arrive. I really like too how learning TeReo and Mandarin gives our learners a chance to shine because once you learn another language, then learning a third and fourth is a lot easier. The children take great delight in making me practice my Mandarin so love coming up and asking me basic questions. The parents have even taken part too and greet me in Mandarin and ask me how I am. I now know three differing ways of greeting them back and have learnt how to respond when I am asked ‘Ni Hao Ma? (How are you? I used to always say 我饿了(wǒ è le) – I am hungry. But I can now say 我 很 好 (wǒ hěn hǎo) as well as a few others. Coming up as part of my learning another language. I have another observation coming up this week as part of my TPDL course and I am looking forward to that happening on Wednesday. Next week I have two sessions at Auckland university around pedagogy as part of my TPDL course. I have finally completed my registration for that. I just need to finish the Ellis booklet. I have had my abstract accepted for the New Zealand Association of Language Teachers (NZALT) conference. http://www.eenz.com/nzalt16/. I am still attending my Wednesday Mandarin course at Unitec which takes four hours out of my day. I enjoy the train ride and the walk time as I use this quiet time for reflection. This week I created some vocabulary slides to help me memorise seasons, weather and days of the week. I have investigated sitting the Hànyǔ Shuǐpíng Kǎoshì (HSK) Level 1 test. The test is designed for learners who can understand and use some simple Chinese characters and sentences to communicate. In New Zealand the test is offered by Confucius twice a year. I aim to sit this first level in November. I have found this fabulous app that helps me memorise Chinese characters using flashcards. The app is called Find a pair. It is free and I really like it. I have gone on and bought the next level but at this stage that is too difficult for me. I can now read 11 characters. As part of the TPDL course I have undertaken for the year, one criteria is reflecting on my journey of learning Mandarin. I have been a student at Unitec learning Mandarin for one evening a week from Huang Wu who teaches Chinese (Mandarin) Level 1A at Unitec. The lessons have been the incentive I needed to learn Mandarin, however the real motivation to learn the language has been from teaching the five and six year olds each week. That is a blog post in itself. So far I can say my colours, how to count to 99, I have several basic greetings and am learning to ask questions. Then this week I attended the pedagogy component at Auckland university. Two thirds of the session was immersion in Mandarin. That was an absolute challenge and I admired our tutor Janelle Wood immensely for modelling formulaic expressions. Formulaic expressions accelerate language acquisition and students can gain 33% of vocabulary using this strategy. Therefore we were exposed to 100% Mandarin and were expected to use the language. We covered several activities with varying levels of forced output, such as a dominoes activity, where we found the answer to statements based on the ten Ellis principles. Reading a Chinese book silently and in pairs and discussed what we could using Mandarin. Songs like the transport one that reinforced colours by listening. Dot to dot focusing on Mandarin number characters. Matching activity where we matched a formulaic expression with the English. I was exhausted after the two days. I came home both days and had a nana nap. I thought about our children who go through this exercise day after day and really empathised with them. The TPDL course puts us in the place of the learner. So we learn a language that we are unfamiliar with. We learn how to acquire a language. A lot of what I am learning is a revisit of what was covered in the Diploma of TESOL. However being a language learner has reminded me of the challenges our English Language Learners encounter every day. I had forgotten about the exhaustion of language learning. In my Mandarin focus group, I had 3 colleagues from the Mandarin course at Unitec. So it was great to make further connections with them. Catching the train to and from Unitec allowed me the opportunity to download my thoughts. Attending an ALLIS Lead Teacher Meeting hosted at Epsom Girls grammar where we shared our school’s journey. Having a student help me with translation. She showed me how she used her chrome for Mandarin character writing and then used google translate to add the PinYin. I memorised and use formulaic expressions in my teaching of Mandarin. A child told his mother that I spoke Mandarin and I understood the statement. Learn to tell the time. I still need to create formulaic expressions as learning mats for my learners. I need to apply for my student Identity Card so I can get Wifi at Auckland university. Overall I now believe I can learn Mandarin and I am glad I asked to teach the language because this has enabled me to memorise vocabulary. The spin off is the incredible connections I am making with my children who take great delight in helping me. The experience is also a reminder that learning a language is hard work and is exhausting for our learners. Teachers remember to provide heaps of visuals both in picture form and to provide a learning mat of formulaic expressions for your learners in class to help them survive the early days. Visit 1 focus: Baseline data of teacher and student use of target language. This week I had the pleasure of meeting Wendy Thomson Director of TPDL. Wendy has been Project director since its inception as a pilot programme in 2005. She is an experienced language teacher and speaks several languages herself. Currently like me she is also learning Mandarin. For this first observation, she was my ISSF, In-School Support Facilitator. Teacher Professional Development Languages (TPDL) is a programme that provides professional development and accreditation for languages teachers throughout New Zealand in order to improve their pedagogy and language fluency in ways that impact positively on student achievement. I have written about TPDL before when I reflected on my first Mandarin lesson. Wendy had come to Newmarket School to observe me teaching Mandarin and to gather baseline data about me and my student’s use use of Mandarin throughout my lesson. She used scaffolded observation criteria and structured observation and reflection tools that enabled me to see the extent to which my classroom practice supports effective language learning. Those of you who have been following this story will be nodding your heads about me as the learner. Gathering data and supporting me to identify my next steps. I have been teaching for over 30 years and am always excited at learning something new. My knowledge of Mandarin language is currently growing and in order to make the 2000 basic interpersonal skills in a year I need to be learning 25 new vocabulary a week. So far this week I have made that. I have learnt to count to ten and I know all the primary colours. I know that I would not have learnt these words if I had not been teaching them. The experience is a reminder to us all about the power of teaching to clarify thinking when learning something new. How often do we give students the experience of teaching? I know I need to do much more think, pair, share activities in my practice. Wendy shared with me the work of Rod Ellis and I am already familiar with Rod’s work because of my recent published book with Pam Hook, SOLO Taxonomy and English Language Learners’. However what she did was to map my lesson against the Ten principles of Successful Language Instruction, Ellis 2005. Wendy literally transcribed everything I said. I was interested in seeing those highlighters being used because I tested that out last year with my student’s writing and used highlighters as visible evidence of their writing. Always with my elearning lens on, I questioned her use of paper copies as I said I could have given her WiFi Access. When we looked over my transcript I could identify the number of times I used Mandarin, the number of times the children used Mandarin and more importantly the number of times I could have used Mandarin. With her support I was able to identify my next steps based on evidence of me and my students’ use of the language. For me my next step was using Mandarin for classroom use. She gave me hard copies of examples I can use in my lessons for classroom language and for social interactions. Again I would have loved the sheets in soft copy because now I need to spend time recreating them so I can have a set of small spiral cards with me during my lessons. I spent ages online with a translator but could not find the exact script, so I will have to remake them. Again how often do we give students worksheets rather than a soft copy that they can add to. That is the beauty of Hapara for sharing soft copies with our learners rather than giving them paper copies that they cannot edit. She also gave me a paper folder and to be honest I asked her ‘Why.’ Again I am the student who would have preferred soft copies of everything. I know I can say this to her because if students keep accepting paper copies and ring bind folders and do not question the reason behind this, then our tertiary providers will keep thinking that this is OK. In my given kit was a memory stick of audio and again I thought, why are our tertiary providers not using online storage of sound for this purpose? Particularly in this current ease of WiFi. I believe access to the internet is like having access to roads. It just is. Do we really still have adult teacher learners who do not have WiFi access in this day and age? Have I been so spoilt with school access that I have forgotten reality? How many schools are still waiting to be snupped and are still waiting for N4L? My receiving a USB is like receiving a floppy disc. I am the student who will always ask for soft copies or who will turn up to an event with a mobile device and expect to be given the Wifi password. Wendy informed me that I had covered 4 out of the 10 principles in my session. I have made them bold below and have given examples of how I did this. Instruction needs to ensure that learners develop both a rich repertoire of formulaic expressions and a rule-based competence. Instruction needs to ensure that learners focus predominantly on meaning. Instruction needs to ensure that learners also focus on form. 4. Instruction needs to be predominantly directed at developing implicit knowledge of the L2 while not neglecting explicit knowledge. 5.Instruction needs to take into account the learner’s ‘built-in syllabus’. 6. Successful instructed language learning requires extensive L2 input. 7.Successful instructed language learning also requires opportunities for output. 8.The opportunity to interact in the L2 is central to developing L2 proficiency. 9.Instruction needs to take account of individual differences in learners. 10. In assessing learners’ L2 proficiency, it is important to examine free as well as controlled production. Teacher directed and from the front. I wonder who is the real learner here? Children practising in smaller groups how to introduce themselves. Wendy and I discussed my next observation. This will involve a different ISSF who will also carry out scaffolded observation criteria and structured observation and reflection tools. Again I will see the extent to which my classroom practice supports effective language learning and this will continue to be mapped using evidence principles strategies against the Ten principles of Successful Instruction. Wendy’s visit provided me with a lot to think about. The discussion was well structured and I felt like I was learning. I am already a language teacher but being a language learner opens my eyes to how effective I am being as a language teacher. I am already trained in TESOL and have taught in a Bilingual Immersion class. But I think I would have benefitted from someone like Wendy observing me and giving me feedback on how much I was using the target language when I was teaching in Samoan. The experience was interesting for me and allowed me to reflect on where I am as a learner. So to finish with I will summarise my learning using SOLO Taxonomy. I am learning Mandarin and I am using the 10 principles of successful instruction to frame how I teach Mandarin to 5 year olds. I believe it is going really well in this early stage. The part that I am enjoying the most is making connections with the children that I teach. My vocabulary is slowly building with using youtube and a Mandarin language learning app as I await my night course to begin. I have also been making connections with teachers in China using WeChat who are part of the Flat Connections Connect with China Collaborative that I am involved in. I have had some positive comments from teachers after my lessons. I remind them about being actively involved when I come in to teach. My next step identified with Wendy is to learn Mandarin language for the classroom. I am determined to learn chunks of language and to put my vocabulary building into action. I want to praise the children in Mandarin and I want to begin giving instructions in Mandarin. Here are PDF’s of some of what I was given in my ring binder. I often hear this phrase espoused by John Hattie and I thought about it after this week’s personal experience. I had a hilarious experience this week with the 5 years olds which I must share. I am lead teacher for the ALLiS project at Newmarket School. As a school Newmarket has joined the ALLiS Cluster (Asian Language Learning in Schools). According to the MOE, the ALLiS Contract is funding available for schools or groups of schools, with particular emphasis on those that establish language learning pathways from primary through to secondary. The fund will encourage greater collaboration amongst schools in partnership with external Asian language and cultural organisations. Programmes must be self-sustaining once funding ends. The aim of the funding is to increase the number of students learning Asian languages to support our growing trade and international relationships. There are also bilingual benefits of learning a second language. Our ALLiS Group of Schools. Our group is the Epsom/Remuera group with Meadowbank School as our lead school. We are fortunate to have Deb Ward as our ALLiS Lead Teacher and she is based at Epsom Girls’ Grammar School. I have included a list of the school lead teachers in our group and we will be working together to increase the number of students learning Asian languages in our schools. This week at Newmarket School we began our Mandarin language and cultural programme for our school. We are fortunate to have access to our parent community who are Mandarin speakers and we were extra fortunate to have two parents agreed to teach Mandarin language and Culture further up in our school. I have agreed to teach Mandarin and have been accepted into the Teacher Professional Development Languages Programme. (TPDL). The programme equips teachers to teach language effectively. Part of that is learning and teaching Mandarin for a whole year. I have registered and have paid for Chinese (Mandarin) Level 1A to begin soon at Unitec. Those of you who know me know I am already quite a polyglot. My first language is Samoan and I learnt English academically when we shifted here to New Zealand. I led a Samoan bilingual unit for two years and this strengthened my Samoan literacy. I learnt high school French and used this learning when I visited France. I also hosted a Tahitian student for a short period of time and this reactivated my schoolgirl French. I learnt Maori at teacher’s college for three years and regularly led the Kapa Haka group. Now I can kind of get by with support. In my married life I learnt Dutch and when I visited Holland with my children’s father I was able to converse in Dutch with very little support. When I first moved to Auckland I was thrown in at the deep end into a predominantly Tongan speaking class and learnt to survive on basic Tongan. I had a grandmother who often would teach me phrases which I used as part of classroom control. I hosted Japanese teachers for three years and during that time I learnt Japanese at night school. I was able to use this learning when I visited Japan or when we have new English learners from Japan. I also can say hello in all the languages of our children at Newmarket School. So why am I now learning Mandarin, you may ask? Well I have always maintained that I would never ask staff to do something that I was not prepared to do myself. So part of the ALLiS goal is learning an Asian language. It is about school sustainability with the Mandarin language. Our teachers have had access to a Mandarin Language Assistant who came to us as part of Confucius and taught whole class Mandarin. I chose Mandarin because I have hosted a Chinese student and absolutely adore her. In addition a large percentage of our school population are Chinese speakers. I live in Newmarket and know that out of all the local languages, Mandarin is the one I am most likely to have others to communicate with. This is because historically Newmarket has large numbers of Chinese migrants living here. I have visited China twice to visit my host daughter and I know I will return. I attend the Chinese lantern festival hosted each year in Auckland as part of making connections with the children I teach. I am also involved with the Flat Connections China Project as a teacher observer. I am fascinated with the way teachers are making connection across the locked down ‘Great Fire Wall of China’. If I use SOLO Taxonomy I know I am unistructural with Mandarin language. I can count to 5, with support. My support are the children because they have been teaching me forever during my lunchtime duty. However I still need them to start me off. I can say hello, my name is Sonya and Goodbye. That is basically the sum of all I know in Mandarin. This week I have been practicing like mad to say Happy New Year, but still have to consult my card. I also consciously learnt a new work. My new word was monkey. I thought about this and tried hard to remember the single sound of ‘hou’. This is because 2016 is the year of the Monkey and I wanted to share a little bit about the year of the monkey. I have agreed to teach the 5 year olds because I know from personal experience that if I am not prepared they will eat me alive. So I went into my lesson reasonably clear about the sequence of the lesson and my learning intention. Everything was going really well. My first group were fabulous and I had support in the students with my pronunciation. They all made their monkeys and they all learnt basic sentences and could say this with support. My next group involved two classes together and their two teachers. The lesson was a little more challenging because of the larger number. But that is OK because I know I will adjust from my peers feedback. I also know that the teachers are further along in Mandarin than me because they have had access to weekly lesson with the Mandarin Language Assistant so I am relying on them to support the lessons. In the second class I have identified 7 fluent speakers who need much more than what I can deliver but that is OK too because I will use this piece of information to challenge my pedagogy. I do not want to teach whole class but want to structure the learning so my lessons caters for all levels of the language. Being a linguist I really want the children to be speaking in phrases rather than in single words as has been the previous few years learning. But then I thought about the linguistic implications. He had made a connection with two words, and he had made a joke. I know that to crack a joke in your second language takes quite a bit of thinking. So do I feel pride or should I feel indignation? I will catch up with him about respect but will do so in a positive way. Unfortunately with 5 year olds, yesterday was a lifetime ago. Personally, the parting comment made my afternoon and I was going around the staff telling anyone who would listen. However in this post I won’t respond what one staff member said. But it was really funny and you can probably make a smart guess. When I use SOLO to map my learning, extended abstract seems a lifetime away. But that is OK too. I have identified my starting level and I know what my next steps are. My next steps will be carried out with Unitec with learning Mandarin and in the university paper on second language acquisition. I am looking forward to stretching my thinking by doing something new totally outside my comfort zone. I am really interested to learn about acquisition from a personal perspective and to apply it to a different way of learning. Next week our group of schools will begin the ALLiS contract officially with an inauguration ceremony held at Epsom Girls Grammar. All of our staff will be present as we are committed to making this contract work. For those of you wanting to know more about ALLiS you can join the online ALLiS Google+ community discussion group that has been set up.